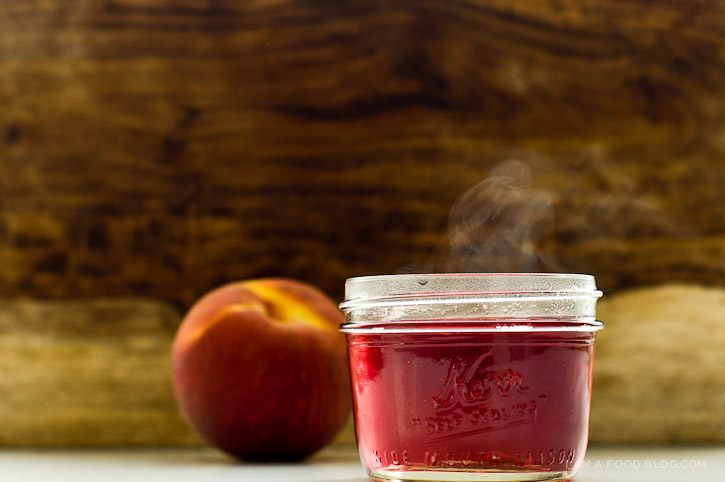 It’s still Peach Week, and it’s Friday so it’s time to get your drink on! I’m not much of a drinker (mostly because I’m a complete lightweight) but I do love a well balanced alcoholic treat. My favourite drinks tend to be quite girly—I like things that serious drinkers scoff at: fruity liqueurs, shandies and anything pink. Right now we only have bourbon in the liquor cabinet and I definitely don’t drink straight bourbon or old fashioneds, but bourbon happens to be great in mixed drinks. 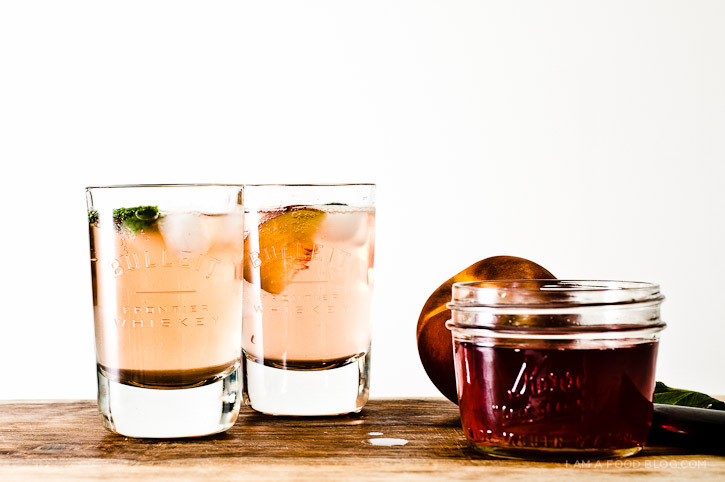 With it being peach week, I decided to make a pretty pink peach syrup and make myself a spin on the classic mint julep. 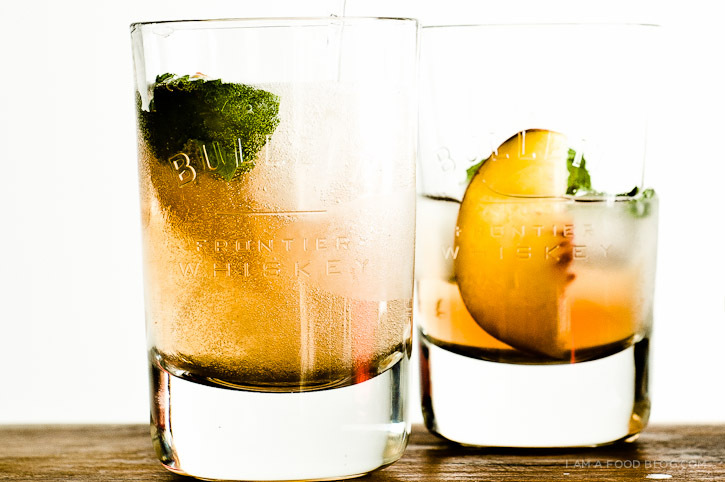 Mint juleps are made with bourbon, simple syrup, mint and ice. I went ahead and flavoured the simple syrup with peaches and decided to top it up with tonic to make it a bit more fizzy. It ended up being delicious! Happy Friday! 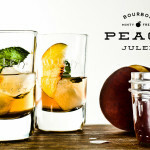 i am peachy, i am keen: i am bourbon peach julep! 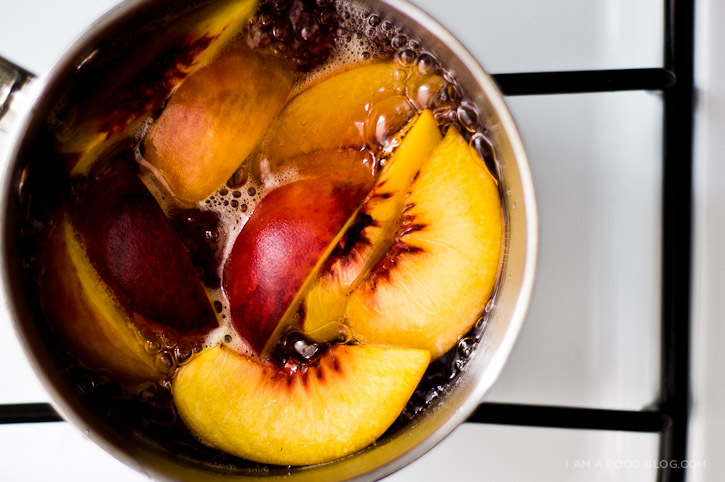 In a small sauce pan, combine the sugar, water and peach slices. Bring to a boil and then reduce heat and simmer gently until sugar is dissolved and syrup has thickened slightly. Remove from heat, spoon out the peaches (you can eat them as a snack), and cool. 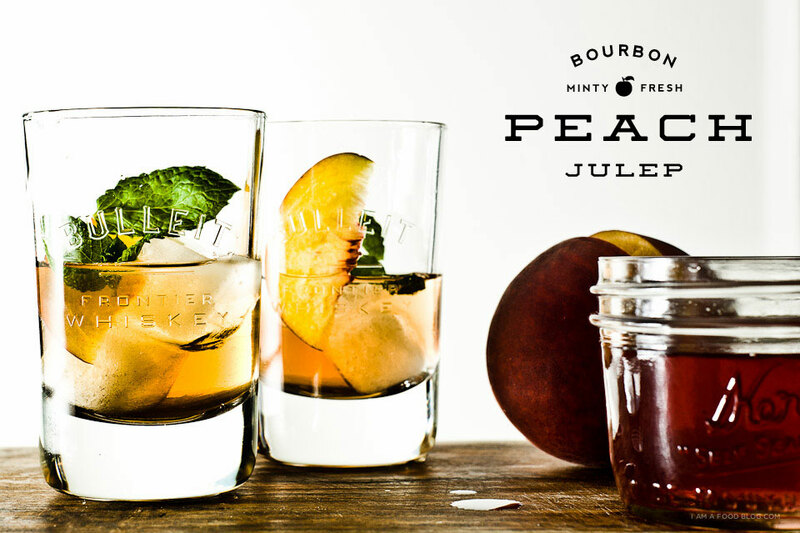 In a low ball glass, over some ice cubes, pour a shot of bourbon, add a tablespoon of peach syrup, some peach slices and mint. Top with tonic water, stir and enjoy! Your photos are beautiful! My husband and I just moved to the ‘Peach State’, I’ll definitely have to try this! I made these last night for a dinner party and they were a huge hit! The simple syrup was summery and fresh. Love love.